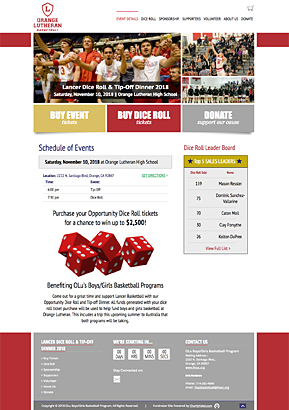 Raise record amounts for your school or team this year by hosting an easy, profitable and fun ball drop or online dice roll fundraiser. 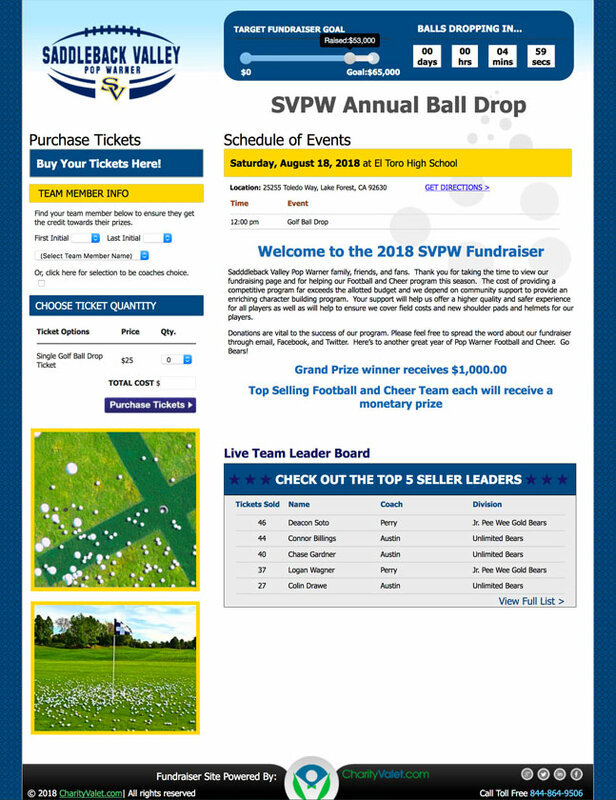 Host a ball drop or dice roll as an independent fundraiser OR add it to your existing charity auction, banquet or event. 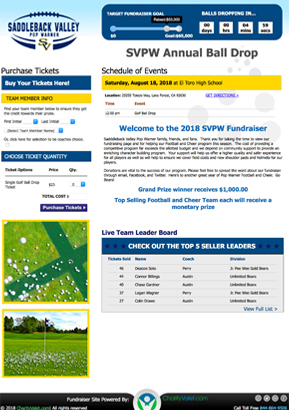 Set up your fundraising site today and start selling tickets in just minutes. Want to see an example? Click here to see the Saddleback Valley Pop Warner Ball Drop. Want to see a live example? 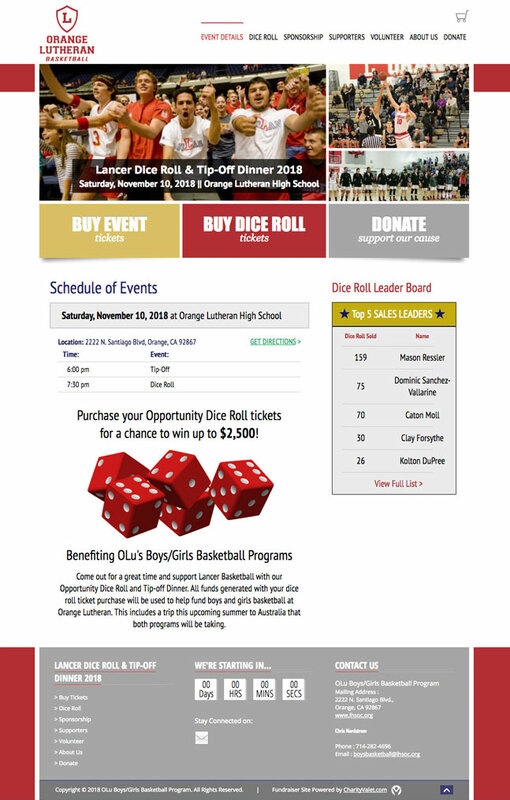 Click here to see the Lancer Dice Roll & Tip Off Dinner. Ready to get started? click on CREATE ACCOUNT to start building your site and to explore the admin center. "Working with Charity Valet has easily been the best fundraising experience I have had in my years as a coach. The amount of money we've made working with them has been considerably higher than with other companies and the structure and support they offer minimizes the amount of work coaches, parents and athletes have to put in. 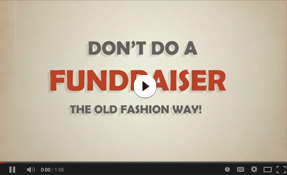 If you're going to do just one fundraiser this year, this is it." Why Do a Helicopter Golf Ball Drop? This fundraiser might be the easiest and quickest method of raising money for schools and teams. 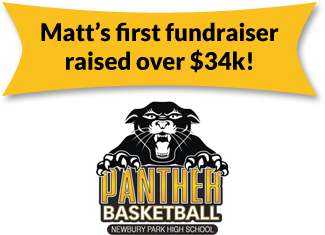 We have schools that have raised over $30,000 in 30 days. Charity Valet's software makes this event simple, secure and effective. Call us now for more details 844-864-9506.